Notes: This tequila is produced on land owned by the same family for 200+ years in the town of Arenal, the birth place of tequila. Arenal is located in the central valley near the town of Tequila. This is the youngest expression of this particular line -the others being of course Arta Reposado and Arta Anejo – both of which we look forward to reviewing at some future point in time. 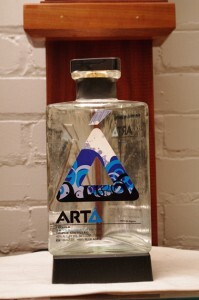 One of a growing number of organic tequilas, farmed and distilled in a sustainable manner, ( they use more modern technology to extract all the agave juice, recycle what is left for paper production, and use more efficient methods for distillation) this tequila is the brainchild of a former techie partnering with a 11th generation rancher and 3rd generation distiller to bring this tequila to market. The agaves are 7-8 years old when harvested rather than the industry standard of 3 years- which explains the depth and complexity of flavor – especially for a lowland tequila (where the bulk of commercial (cheap crap) and the younger agave tequila comes from – giving the appellation a bad name at times, which is a pity, because like Cognac, there are a lot of very interesting and lovely products coming from areas other than the areas some brands like to brag about as the premier area. Each can produce outstanding and distinctive products. Appearance: Crystalline clear, lovely body almost a puddle of juice or sap in the glass. On swirling, it leaves a very light coating on the glass which then fractions into droplets on the sides of the nosing glass. First Impression: Has a unmistakable aromatic hallmarks of a good tequila: peppery with a sweet brine, herbs with a dry aloe and thai lime leaf aroma. Taste: Slightly oily body. Spicy,peppery entry with touches of sweetness then a drying finish/fade with citrus notes . Overall nice solid mineral backdrop to a well balanced spice and citrus with nice oily (not thin and cutting) body with a nice warmth to it. Drinks: Sip it, don’t shoot it to enjoy it’s nuances before you start mixing with it. Lovely margaritas, as a side bar be sure to use fresh juice and Grand Marnier, Cointreau Noir, or Solerno – anything less would be an insult to the tequila and a waste. Cigars: An Ashton, Credo, or Fonseca , natural or shade wrapper. Bottle: Short triangular recycled clear glass bottle with rounded edges short triangular neck and real cork closure with a nicely heavy metal cap or recycled metal. 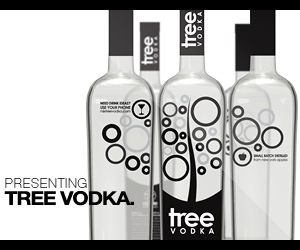 Simple graphics are silkscreened onto easily peeled off clear plastic labels so the bottle is easily reused/repurposed. The neck wrap is rather unique in that rather than using a standard disposable foil neckwrap it uses what appears to be a section of neoprene (think wet suit or bicycle inner tube rubber). I am immediately going to reuse/recycle this as a strap keeper on a backpack as soon as the bottle is empty- very handy. In the interim it gives you a great nonslip grip on the bottle – an important thing with tequila and drink mixing in general. Underneath this it also has a easy to remove tamper seal (industry standard if not required) that is made as small as possible to reduce waste. Useful tips : 1.turn the stopper about 45 degrees to get the corners exposed for a better grip, 2. pour the tequila down one of the corners of the neck rim for a better pour. Final Thoughts: Delicious, nicely done and understated. A touch pricey perhaps compared to some but they do make a effort to do things properly and not cut corners for speed or economy and it shows. 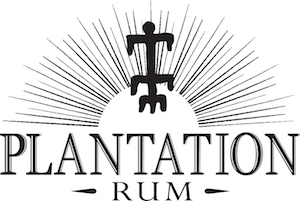 A potentially interesting website with some great photos, however it does not display/scroll properly and is a bit light on real information such as specifics on their equipment and their agave preparation, fermenting, and distillation specifics which most tequila geeks would find interesting.